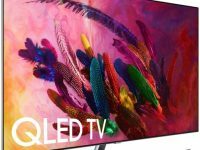 In Samsung 2018 TV lineup, We can find Samsung QN65Q6FN (QN65Q6FNAFXZA) introduced as the basic 65-Inch Samsung QLED TV series, while Samsung UN65NU8000 is introduced as part of Samsung’s Premium UHD TV series. 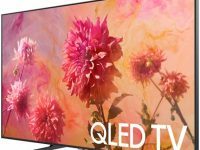 Samsung QN65Q6FN is positioned as the higher..
Samsung QN65Q9FN (QN65Q9FNAFXZA) comes in Samsung’s 2018 TV lineup as the successor model of Samsung QN65Q9F (QN65Q9FAMFXZA). They are both introduced as Samsung’s 65-Inch Flat screen Q7 Series. Why Samsung QN65Q9FN is the New Model that You Should Consider? To answer..
We can find Samsung UN65NU7100 (UN65NU7100FXZA) as the model that intended as the successor model of Samsung UN65MU7000 (UN65MU7000FXZA). 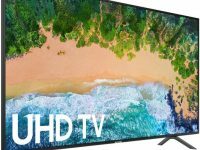 As the successor model, We can find that there are a number of similarities between Samsung UN65NU7100 and UN65MU7000 while..
We can easily guess that Samsung QN75Q7FN (QN75Q7FNAFXZA) and Samsung QN75Q6FN (QN75Q6FNAFXZA) are two closely related models. 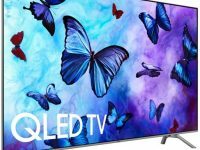 They are indeed two closely related models since they are both introduced by Samsung as part of Samsung’s 2018 QLED TV series. 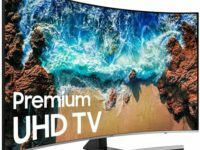 As..
Are you looking for the best picture on your next large screen 4K UHD TV? 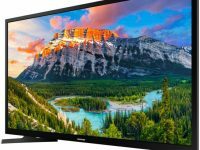 If you are looking for the best picture in 75-Inch screen 4K UHD TV, I’m quite sure that Samsung QN75Q9FN (QN75Q9FNAFXZA) and QN75Q8FN (QN75Q8FNBFXZA) are.. 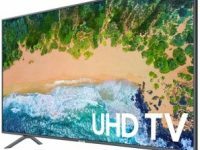 If we are looking for smaller size 4K UHD TV from 2018 lineup, We can find Samsung UN49NU8000 (UN49NU8000FXZA) and Samsung UN50NU7100 (UN50NU7100FXZA) as two options that we should consider. 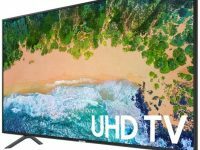 Samsung UN49NU8000 is introduced as part of Samsung’s 2018 Premium..
Two of 55-Inch 4K LED TVs that we should consider in 2018 are Samsung UN55NU8500 (UN55NU8500FXZA) and Samsung UN55NU7300 (UN55NU7300FXZA) from Samsung’s 2018 TV lineup. 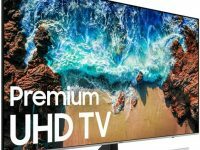 Samsung UN55NU8500 is introduced as part of Samsung’s 2018 premium UHD TV series, while Samsung..